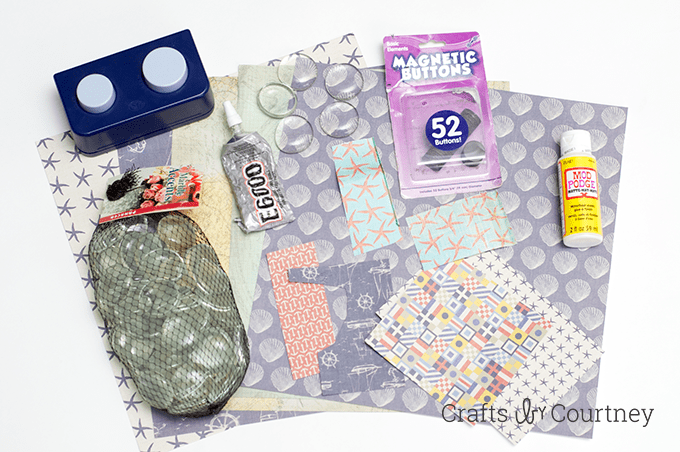 These DIY magnets are SO easy to make with decoupage medium and scrapbook paper! 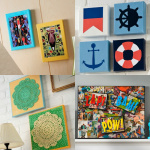 They have a fun nautical theme and make great gifts. 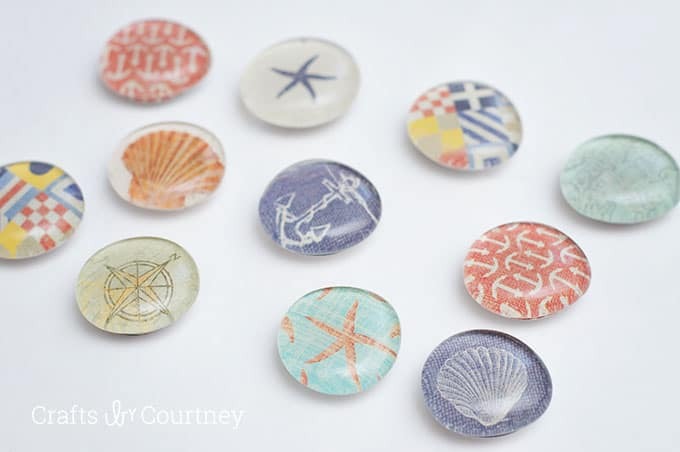 Hello, it's Courtney again with Crafts by Courtney! 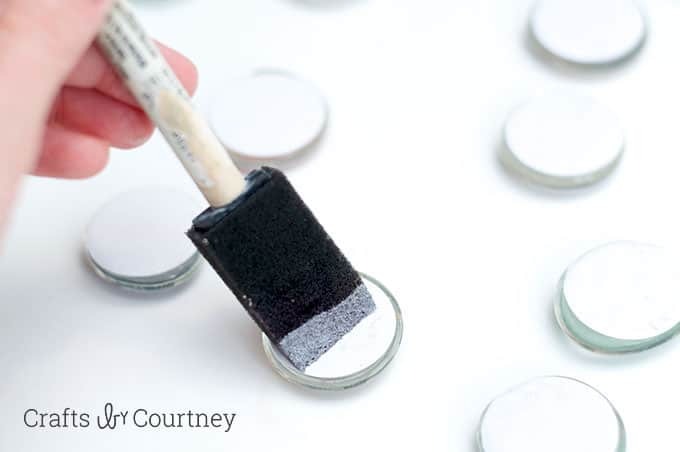 This time I wanted to share with everyone these easy, cute DIY Magnets I made using scrapbook paper. 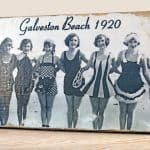 The best part about these glass magnets you can customize them any way you want! 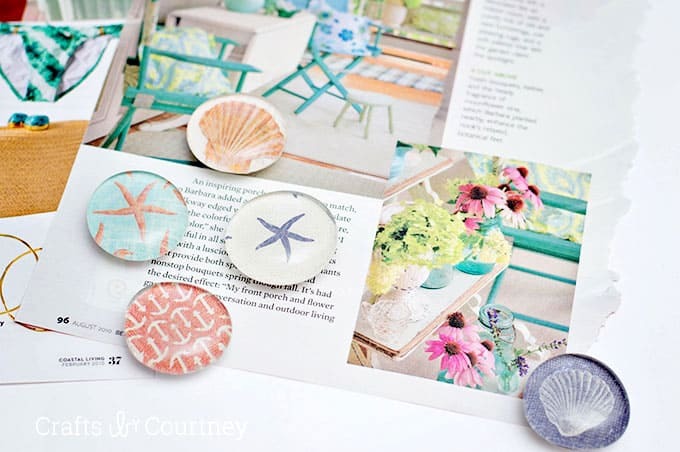 I of course pulled out my “trusty” pack of coastal theme scrapbook paper for my Mod Podge magnets. But the scrapbook paper possibilities are endless out there. Ever since I found these great packs of coastal/nautical theme scrapbook paper at Hobby Lobby I knew I wanted to make some magnets for the refrigerator. I already had all the supplies on hand except the marble accents. I found those at JoAnns for $6.00 a pack. Of course I used my “Handy Dandy” 40% off coupon!! A couple days later I did stop by The Dollar Tree and saw they have smaller packs there as well. I was super excited to get started on my DIY magnets! I have a couple circle punches left over from my scrapbooking days. So I had a circle punch that fit perfectly. 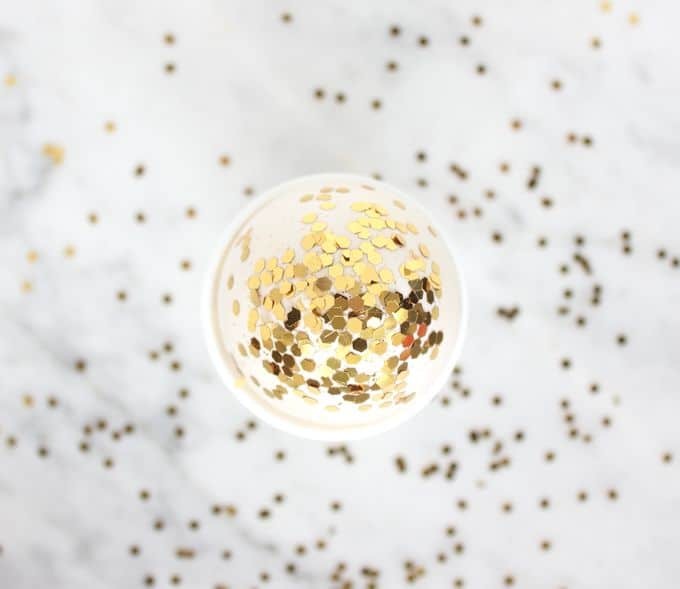 But my second option if the circle punch didn't work was to trace out the circle with one of the glass pieces and cut out. SO, you don't necessarily need a punch for this step. Now it's time to add our scrapbook paper. YAY!! 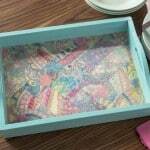 I painted on a little Mod Podge to the back of the glass pieces and gently placed my scrapbook paper on top. I made sure to smooth down with my fingers to keep any air bubbles from popping up. Next I added a little Mod Podge to the backs and let dry 20 minutes. Finally it's time to add the magnets! I found this pack of magnets at Wal-Mart about two years ago. I needed them to hang my son's chore chart up on the fridge. They are pretty awesome! Just add a dab of E6000 glue to the back and then firmly press on your magnet. My son thought they looked like giant googly eyes. 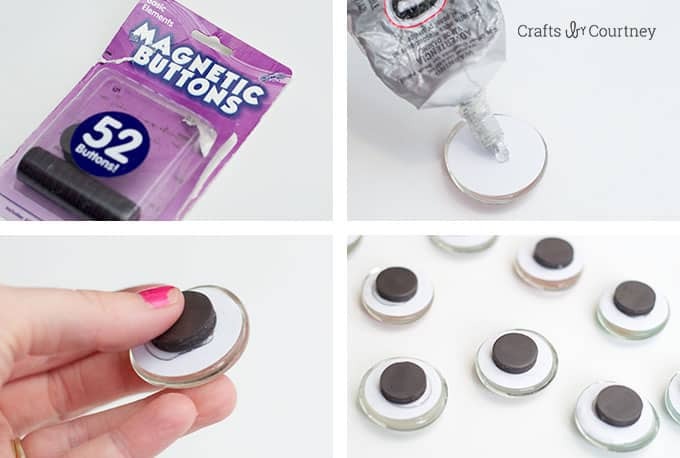 Now just let your magnets dry for about three hours and then you're ready to start using them!! 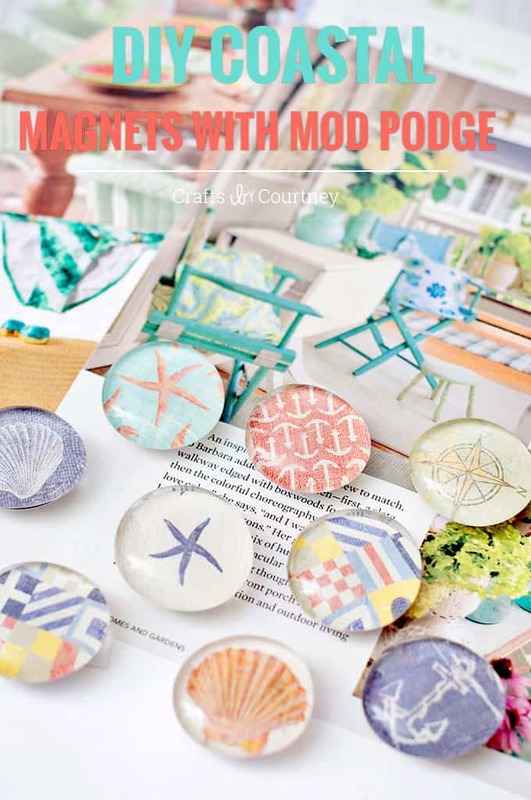 These nautical Mod Podge magnets are great. I can start displaying my kids artwork or important papers I get from their school. Plus they are pretty heavy duty and can hold several pieces of paper. I hate getting magnets that can only hold 1 or 2 pieces of paper. Thanks for stopping by and checking out my latest project! These really were such a easy project to work on. 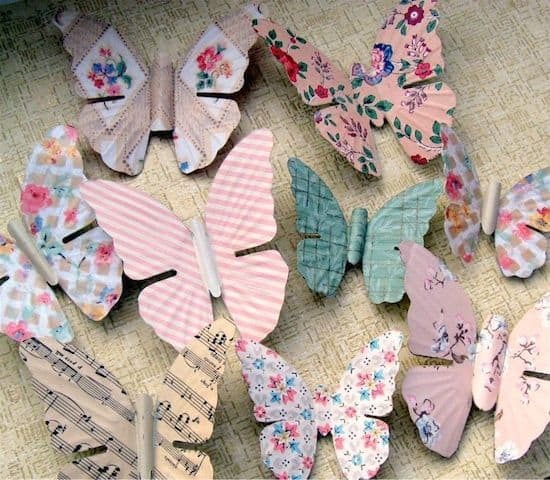 I think I want to make some for a kids craft next. 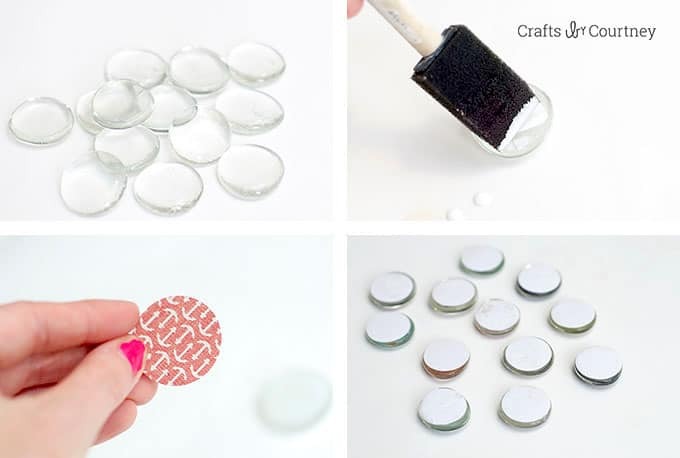 Lovely DIY magnets. Thank you for the great tips. I love your cute magnets! Recently, I started making magnets, using copies of my photos–with the Silver Dimensional Magic. 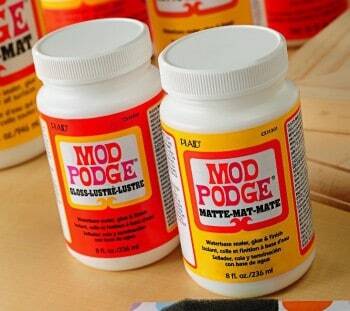 Try it with yours–I LOVE the hint on sparkle– Mod Podge rocks!